I was inspired by this technology way back in 17 and thought it would be great to be able to express myself. You only have so much skin right. You get a tattoo on and it’s there forever. I still like my existing tatts, don’t get me wrong. They’re on my legs so they don’t impact on people judging me because of my ink, but I always wanted something I could change whenever I liked and I wanted color. Now I can control my tatts with my phone. I stopped wearing watches back around 2012, but I always felt awkward looking at my phone when I’m in a meeting with someone, it felt disrespectful, so soon I’m going to have a watch face just above my wrist, that appears and disappears on command and I can still change the watch face any time I like. I used to buy digital watches so that I could have a different watch face every day. I bought a few from AliExpress that interfaced to my phone, but I couldn’t be bothered charging them every few days and most of the features like the Facebook and Twitter interface or controlling the phone camera were just gimmicks. The killer app for a watch is still telling the time. I love the steps feature for Strava and now that they have included navigation to the tattoo interface, that’s really cool. I have this goal of always walking on different streets every day, so with this new tattoo I can change the clock to a step and distance counter as well as having it point in the direction I have to turn at the next street and guide me back to where I parked the car. It’s funny really, this all goes back to the postcard collection I inherited from my Opa. I had a frame in my office and every day I had a different postcard in the frame. My collection had enough for me to have a different picture every day for a few years. So now with the new electronic tattoo I will have a different tattoo on my arm every day too, it can fit the mood I’m in and I don’t have to cover my body or pay lots of money for new art. Recent startup PUBER has signed a major contract with a Chinese manufacturer to produce hundreds of thousands of trailered EV chargers as they roll out their new mobile charging service for electric vehicles that have run out of power on the road. These new devices have power adaptors for most brands of electric cars and can charge them back to full charge in around half an hour. Owner operators buy one or more towable trailers fitted with a large powerpack and power adaptors for most brands of car. Customers have a mobile app which allows them to send their GPS location, prepayment and a service request to the nearest PUBER operator who can’t wait to get them on the road again. The solution to a massive nose dive in US domestic tourism has come from an unlikely source, specialists in GPS vehicle tracking, Road User Charge rebate and electronic in-vehicle tax payments by Fleet Management companies in a place that many Americans couldn’t even place on a map, close to the bottom of the globe, New Zealand. When the USA introduced national Pay As You Drive road user tax for all other than electric vehicles a few years ago, no one appreciated the impact this would have on a variety of industry segments. The intention was to encourage commuters and urban business travelers to make more use of public transport. Having a blanket rule resulted in a significant negative impact on the cost of living for rural Americans who typically have to travel much greater distances even for basic needs such as food, health, shopping an getting to work. It also decimated the domestic tourism industry. Whilst rental vehicles were exempted which ensured international tourist numbers weren’t impacted, the tourism industry still went into free-fall as domestic tourists couldn’t afford the increased cost to their trips. In the last few years US residents ‘for leisure’ person trips have dropped by a staggering 350,0000,000 from the 1.6 billion person trips recorded back in 2012. Enter new rules designed to encourage people back onto the freeways and into small town USA, which allowed rebates for motorists who met certain conditions. These included a ratio of distance traveled on non urban roads, or on private roads and proof that the vehicle was more than 100 miles away from home for one or more nights. New Zealand Fleet Management solution companies, having had many years developing Road User Charge tax rebate solutions with GPS tracking for commercial diesel fleets, were able to offer a ready made answer. Not only did they have low cost solutions ready to plug in to most vehicles manufactured since 2007, they also had the ability for people to pay those taxes direct from the vehicle and included an in-vehicle display which both Police and the public could use to ensure that taxes had in fact been paid. Several Kiwi companies have now partnered with US organizations including domestic Fleet Management companies and major vehicle brands. The AAA and insurance companies also welcomed the move as the Fleet Management systems monitor car driving behavior, encouraging green driving and enabling PAYD (Pay As You Drive) insurance, where premiums are reduced for people who don’t use harsh breaking, over-acceleration and other behaviors which reduce risk. Several car and motor-home manufacturers are now considering putting this technology into their vehicles as standard features. According to US Travel Association research in 2012, 1 out of 8 US jobs depended on travel and tourism (representing 14.6 million jobs supported by travel expenditures), which was in the top 10 income earners for 48 states. It is hoped that domestic tourism will make a big swing back in the coming year, with the costs of the initial investment for motorists being offset by a variety of discounts, special tourism industry offers and off course road user tax rebates for those who meet the criteria. 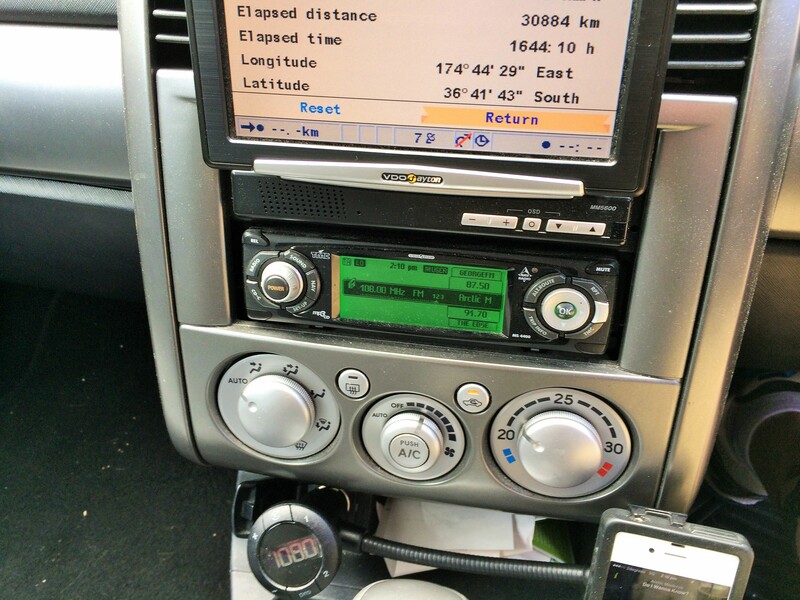 New aftermarket GPS car nav units have been blamed for a spate of car accidents due to inaccurate map data. The wave of new aftermarket HUD (Heads Up Display) aftermarket car navigation devices over the last few years were ,et with much enthusiasm. Being able to purchase devices like the Garmin HUD (How did they manage to get that as a brand name?) that launched in 2013 for under $200 bundled with a nav unit or $150 on its own, made it the next car enthusiasts must have device (toy). With in car options (admittedly including in-car entertainment, climate control, car computer etc) adding an easy $2,000 to the bill for people who could afford a new car, a solution that cost that can go into virtually any car was a great starter for 10%. Touted as being much safer than in dash systems because you don’t have to take your eyes off the road, it appears to have unwittingly revealed a much more critical situation that has caused stress and confusion and has allegedly resulted in accidents and assertions of liability being placed on the manufacturers of the nav systems. The reason is that in many cases the map data is either out of date or inaccurate. This means that the driver is seeing both the road in front of them through the windscreen as well as a laser image representation of the road from the HUD. When these do not match and the driver is in a relaxed frame of mind (partly due to confidence in the GPS car nav data) confusion may arise. For example driving late at night or on a foggy morning on a country road with poor visibility and the nav displays a sharp turn (but the road has been realigned) could result in a nasty accident. Urban roads (such as Wellington in New Zealand) where one-way streets were changed to run in the opposite direction are another classic example. Psychologist John Doe from Lost Highway University said “When drivers used traditional in-dash car nav devices, they relied mostly on auditory instructions, glancing at the nav unit from time to time to confirm the details, but then interpreted the information and commands based on what they were seeing. This meant that if there was a discrepancy in the directions, common sense usually prevailed and they would act on what they actually saw through the windscreen. Since large numbers of people started using HUD systems, they mentally merged the heads up data with what they saw through the windscreen and when they contradicted each other, this caused confusion and stress. It only takes momentary confusion at 50 miles per hour to find themselves in an accident situation,” he explained. The more sophisticated units such as the Pioneer system released 2013 in the video below, do have some advantages over the cheaper units because they also include character recognition of outside objects such as speed signs. This means that if the car navigation database says the speed is 50 mph but the sign on the road says 30 mph, the navigation instructions will give higher credence to the physical roadside sign. John Doe went on say that many car nav companies have managed to get their prices very low by purchasing cheap car navigation data and not updating them as often. People accepted that for a low price, they weren’t going to get high detail map updates and because the map wasn’t in their face, they were able to deal with the discrepancies. Portable HUD car GPS manufacturers are now adding modular components to their systems including WiFi cameras and adding software to their Smartphones and Portable Car GPS devices including character recognition, distance and speed of the car in front and connection to in car entertainment such as streaming audio. Legislators are now looking at enforcement of restrictions, ensuring that drivers can only see car control related information on the HUD, ensuring they can’t be distracted by videos. email messages etc which can also technically be displayed on the screen whilst driving.